Some times the simplest is the best. 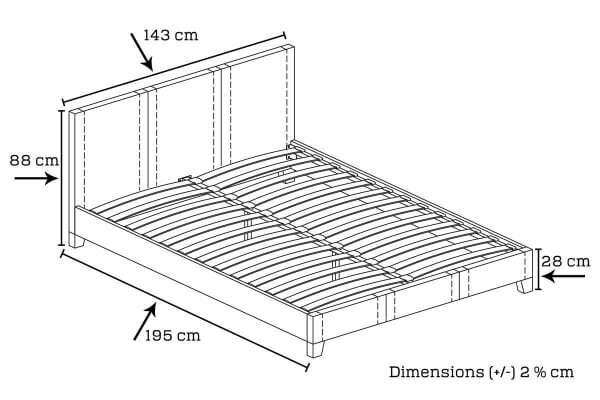 The simple and immaculate design of Mondeo Leatherett* bed frame will soothes your eyes. It has medium padded headboard which provides backrest for the persons who want to sit up and read. 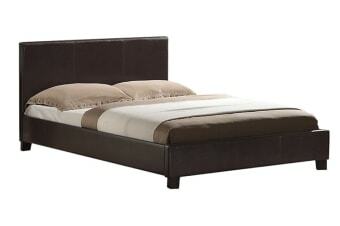 This stylish black/brown/white bed is fully upholstered with high quality PU leather and very comfortable foam inside it. PU/Polyurethane leather is a kind of faux leather. We use this because it can provide leather like service and look in a much cheaper price. Its finely polished elegant black colour can upgrade the appearance of your bedroom.